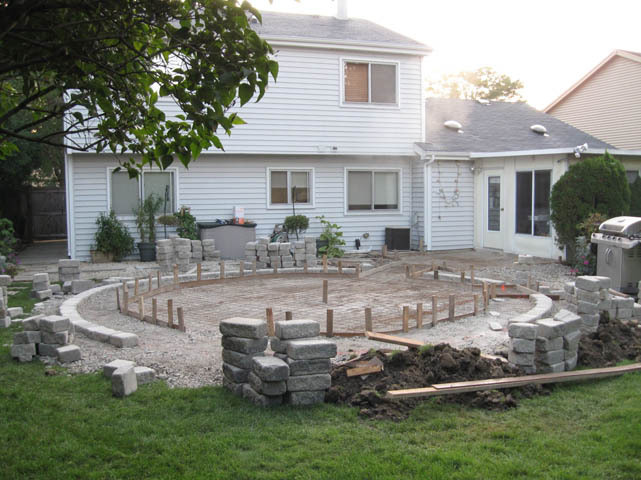 Rounded patio design with hardcape wall. 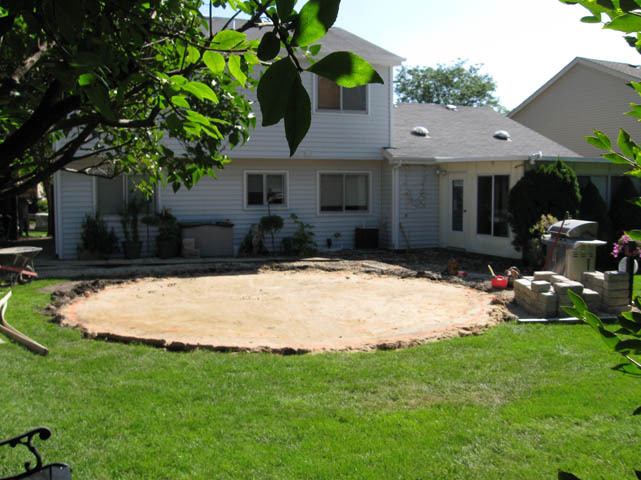 Stamped concrete patio consists of a round large area and a smaller part connecting to the house. 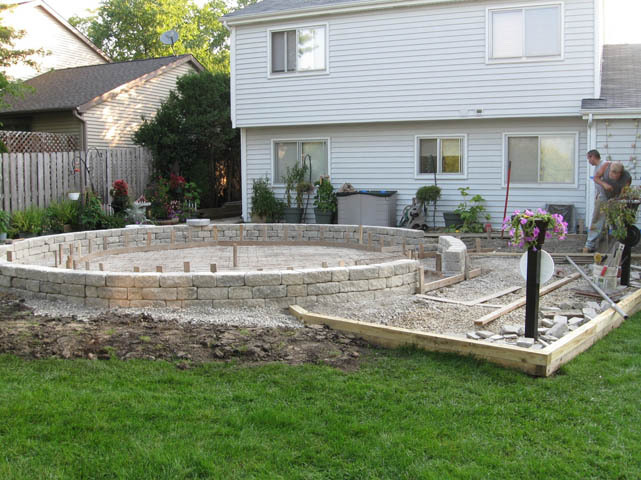 The whole design has a beautiful brick wall and surrounding lanscape. Available area size before project was 1 acre. The lot had a large amount of landscaping, that had to be replanted and moved. Available area size before project was 1 acre. 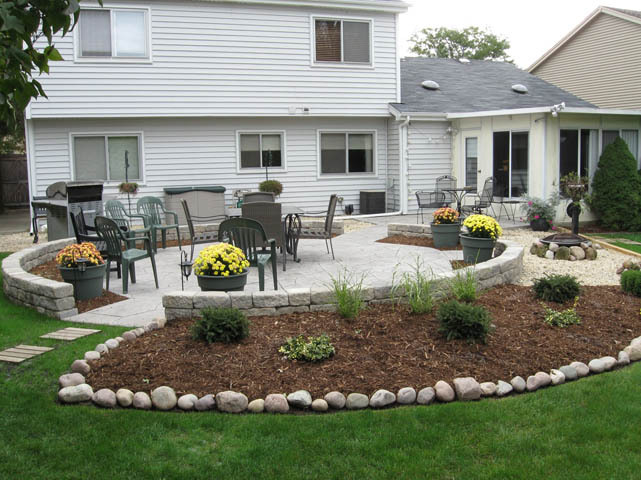 The lot had a large amount of landscaping, that had to be replanted and moved..